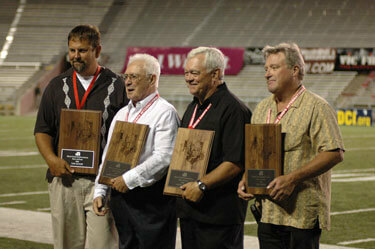 2006 inductees to the DCI Hall of Fame were recognized on the field at tonight's World Championship Semifinals event. Michael Boo talks to each of the new members on their Hall of Fame honor. Tom Aungst, Corky Fabrizio, Freddy Martin, Donald Porter Jr.